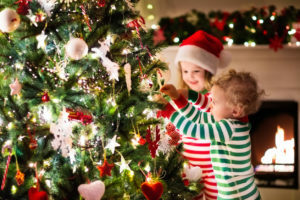 Being a parent comes with huge responsibility and one of those is keeping the magic of Christmas alive in the hearts and minds of all our kids for as long as possible. So with each passing year the magic of Christmas is a little harder to create and you can almost see the children trying to figure out how it all works. It is all resting on your shoulders to ensure that each night the elf is moved, the lists are written and taken from the fire place before they wake up and that not one present is discovered before the big day. 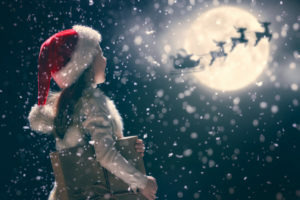 The first four or five years came and went without a glimmer of doubt or suspicion but as they get older you can see their mind begin to question the magic just a little and you begin to feel the massive pressure to be on your top game and keep this Christmas magic alive as long as possible. From the moment the first add for toys is on the tv, or the toy catalogue comes through the door every part of their little faces and bodies are bursting with excitement of the imminent arrival of the big man in his red costume and a promise of even more toys to be added to your already overflowing collection. The house feels like it is bursting at the seams. This year already the plans are beginning to form of wanting this and that and where each new item will go and how good they will be in order to receive all their treats and delights. Soon the lists will be written and they will magically disappear up the chimney and the elves will be hiding around each corner checking on behaviour and ensuring chores are completed and teeth are brushed each night. The kids are playing their best game and as parents we need to too to keep all this magic alive. My kid’s favourite game to play is hide and seek so they know every single hiding place my house has to hold. So there is no way a present could ever be hidden in my house without a little body hiding under a bed finding it. This is what led to my discovery that Santa’s grotto had to be somewhere that my two little rascals could not access. Somewhere that was locked and only I had had the key to. Each year I acquire a storage unit and hide away all their presents in the unit. It is so much easier and I can drop the items off as soon as I finish shopping as I have 24 hour access or I can order my items online and get them delivered to my storage unit so there is no evidence of them ever being in my house. Their little minds would always questions a brightly coloured box or knock on the door from the postman! Christmas eve I can drive out to the storage facility and pack up the car and deliver them under the tree without a question being asked. Last year I even wrapped the presents at the facility and made up a drum kit so all I had to do was leave them for the kids to burst in and find them the following morning. All I had to do was sit back and watch their faces full of happiness and joy and celebrate another Christmas miracle. 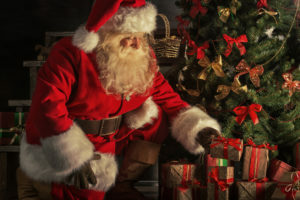 I can’t wait for this year already and see that moment as the magic and Christmas spirit fills up their little faces and celebrate another successful year of believing in Santa. Thanks Space Storage for helping me keep the magic alive.